For best results, fill Flexible Basin with water before finishing off the surrounding walls with caps. You'll be able to pull the flexible sides upwards and work out any wrinkles for the most attractive appearance before permanently attaching the top layer of wall blocks. 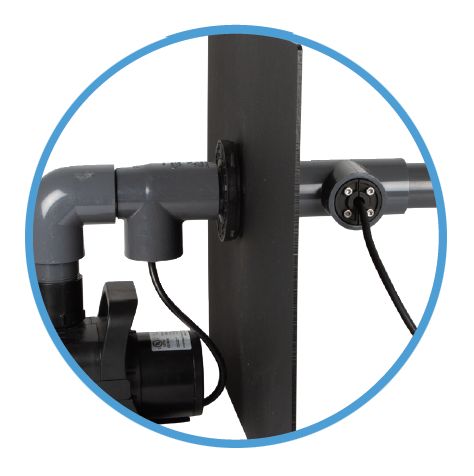 You can use the same plumbing line to flow water and pass an electrical cord of a submersible pump or light through the wall of an Atlantic Flexible Hardscape Basin. 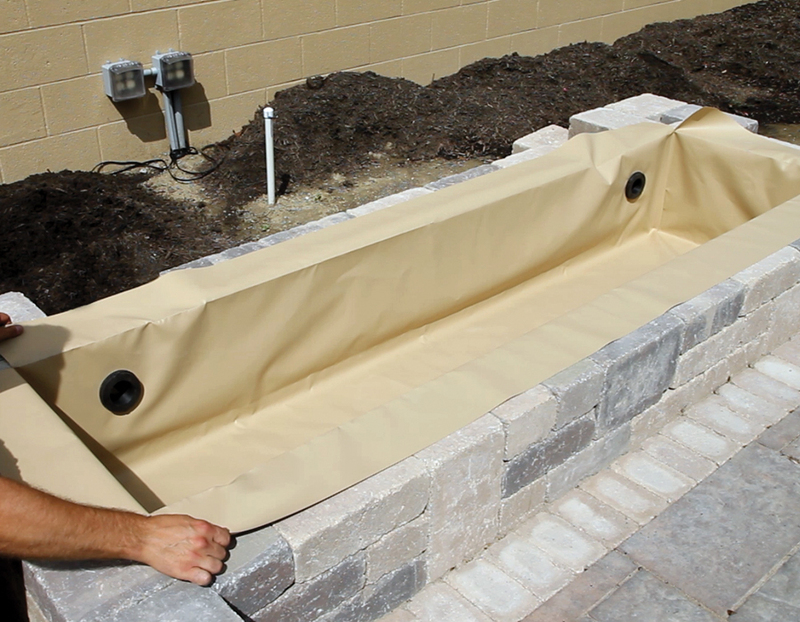 Install a Tee on each side of the bulkhead in the wall of the basin. Run the cord through a Cord Seal Fitting in the inside Tee to another in the outside Tee and snug cord against pipe before tightening.